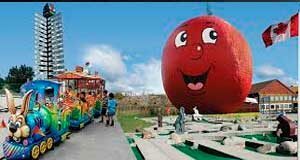 Newly released data shows the Ontario apple industry packs a strong economic punch. According to the study by JRG Consulting Group, the Ontario apple industry from growing, packing and processing generates annual economic activity of $634 million and supports more than 5,100 jobs in the province. “Ontario is the largest apple producing province in Canada and this research shows for the first time just how significant our industry’s contribution to the provincial economy is,” says Charles Stevens, an apple farmer from Newcastle and Chair of the Ontario Apple Growers. Every one million dollars in output by Ontario’s 230 commercial apple farmers generates $2.39 million of activity in the Ontario economy. The industry contributes $351.6 million to the provincial Gross Domestic Product (GDP) every year, and supports over 5,100 full time direct and indirect jobs with associated wages and salaries of $247.1 million. This results in tax revenues of $106.7 million annually to federal, provincial and municipal governments. 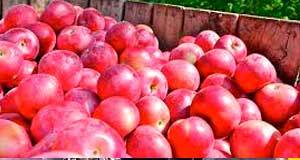 Ontario apple farmers currently supply 45 per cent of the Ontario fresh apple market. This means Ontario is a net importer of apples, bringing in approximately 80.6 million kilograms for fresh consumption annually, and leaving the industry with vast growth opportunities. The study shows that every $10 million in additional output created in the apple sector generates an overall economic activity of $24.2 million to the provincial economy. 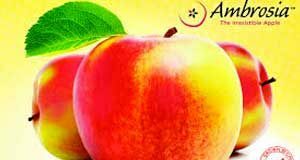 The Ontario Apple Growers represents the province’s 230 commercial apple farmers. Visit www.onapples.com for recipe ideas and grower profiles, or follow Ontario Apple Growers on Twitter and Instagram (@ontarioapples) and Facebook (facebook.com/OntarioAppleGrowers).